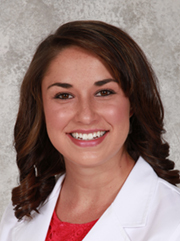 The Center for Spine and Orthopedics welcomes Emily Elliott, a third year medical student at Rocky Vista University. Emily will be studying under Dr. Lucas Schnell during her clinical rotation at CSO through February 23. Her interests also include OB/GYN, internal medicine and dermatology. Emily, who is from Littleton, is married and has an Australian Shepherd. In her spare time, she enjoys cooking, baking and scrapbooking and is currently training for a marathon.